Hello there! It’s that time again! Sketch challenge time at Create with Connie and Mary. Don’t let this simple sketch fool you. This was one of the hardest for me yet! So I played and played and came up with this monstrosity. I supposed it’s OK to be a monstrosity when it’s a Halloween card. I stamped some Gorgeous Grunge on the banner but you can’t see it in the light for some reason. I also inked up the sides a bit. Speaking of ink. I also used a sponge dauber and inked the trees using craft ink. I kind of wish that my washi tape was yellow. It just makes me think of the police caution tape which would definitely lend a creepy feel! ha! Thanks for stopping by! 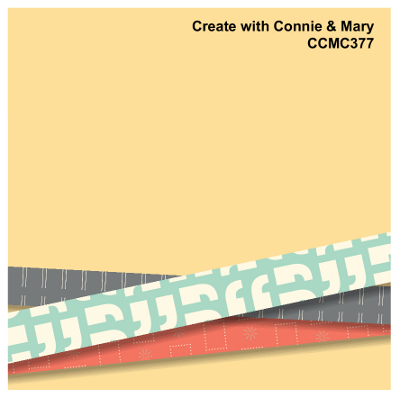 Be sure to stop by Create with Connie and Mary and see what the other designers came up with! Oh my, this card is just tooo Spooky!! Quite the creepy atmosphere you’ve created here… amazing how those trees look with white ink over the black! Great card! I really like how you did the trees – very Sleepy Hollow! Great card! Very spooky! Love the pieces of spider web on the banner – great way to us up pieces! Super-cool and creepy! The trees look really awesome, and I love the pops of orange with the Razzleberry! 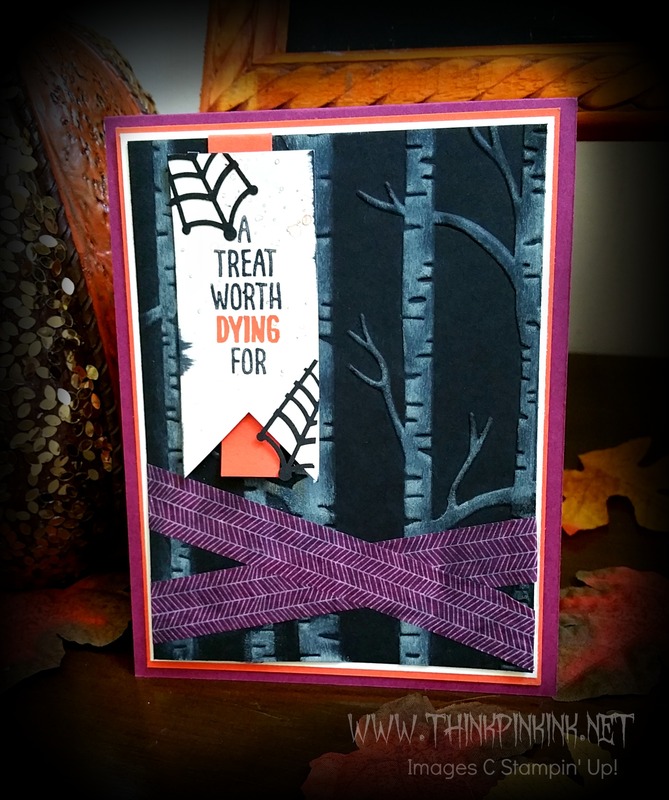 Truly spooky Bridgette – I wouldn’t want to be in that forest on a dark night! 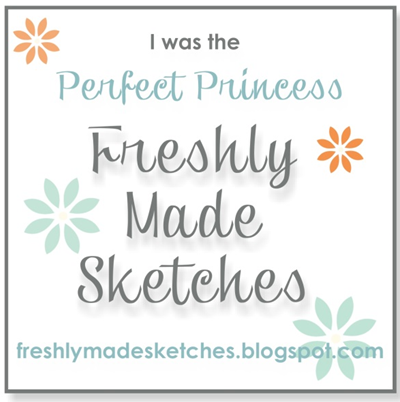 I agree that this sketch was a stumper….I had a hard time coming up with ideas at first, too! Your spooky motif is a super fit with this sketch and rises above the mark for sure! Love this! Great job! What a great spooky scene!